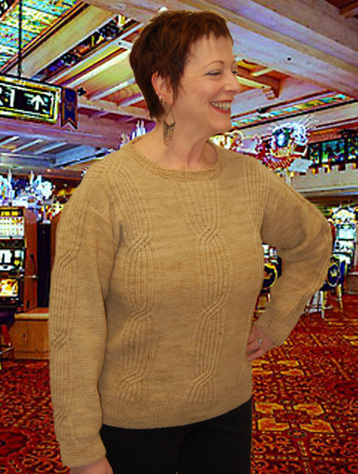 Tonia Barry has designed an elegant and gorgeous sweater that looks good on most figures.... Five different women all tried on the sample sweater and it is beautiful on all of us!.... Thanks Tonia - your designs are wonderful and make us not only feel wonderful, but look great too! 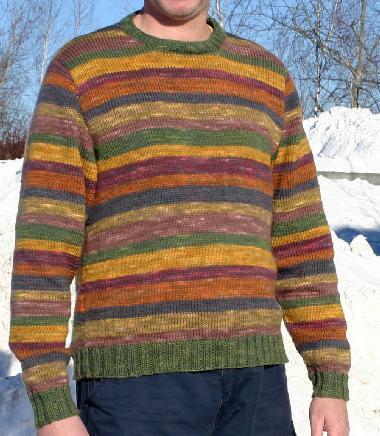 The pattern is a mixture of ribbing, moss/seed stitch and a beautiful fudge swirl cable that runs up the back and front as well as from the cuff right to the top of the neck... this sweater is a beauty! Sizing is for a S - 2XL with finished bust measurements of 36 - 52 inches. 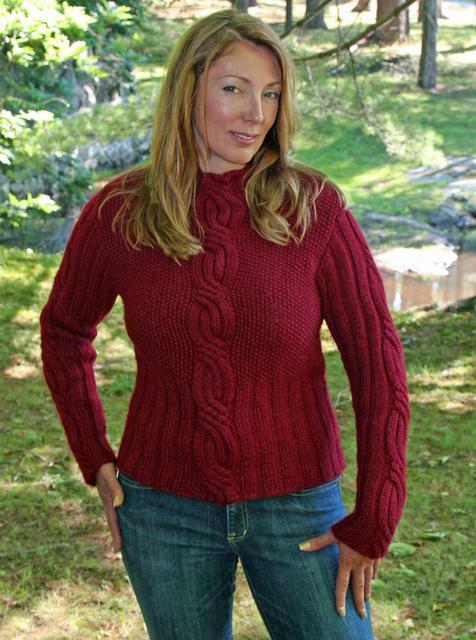 Tonia has chosen Debbie Bliss Alpaca Silk Aran as her yarn of choice for this sweater, but any worsted weight yarn will work. Slim fitting high rib waist mock turtleneck, designed to accentuate the feminine figure. Seed stictches surround a very simple to knit center cable on both the front and the back. 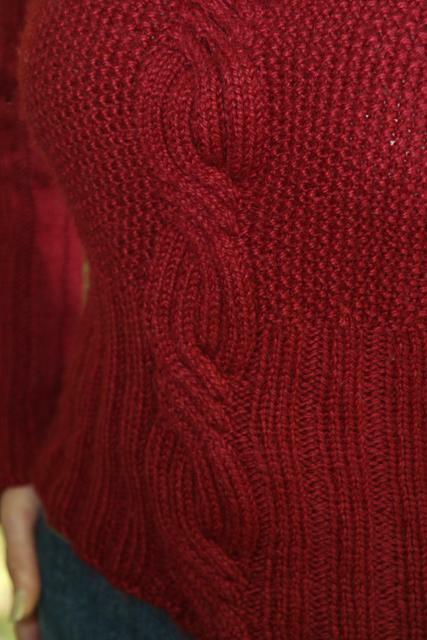 The same center cable is on the sleeves and surrounded by rib. This is a great project for a cable novice and lover alike.